As I was searching on line, I came upon this picture. 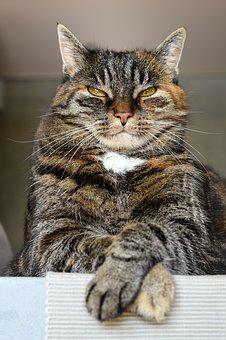 This regal cat reminds me of a king surveying its surroundings. The tuft of white fur under his chin, looks like he has a bow tie on and is dressed for dinner. He has almost a bored indifferent look, like he could care less what anyone else is doing. I often wonder what goes on in a cats mind when they look at us like this. Maybe I don't want to know. What do you think?